With the rising public and political concern about greener production, there is unrelenting pressure on individual companies to mitigate and abate pollution and adopt cleaner technologies. Governments adopt several types of environmental policies and regulations that are aimed at protecting the environment and encouraging efficient use of natural resources. Instruments such as carbon tax, emission quota and abatement subsidy are being proposed and implemented in several countries. Such policies affect firms’ strategic decision-making such as creating joint ventures, product differentiation, R&D, expansion and outsourcing. 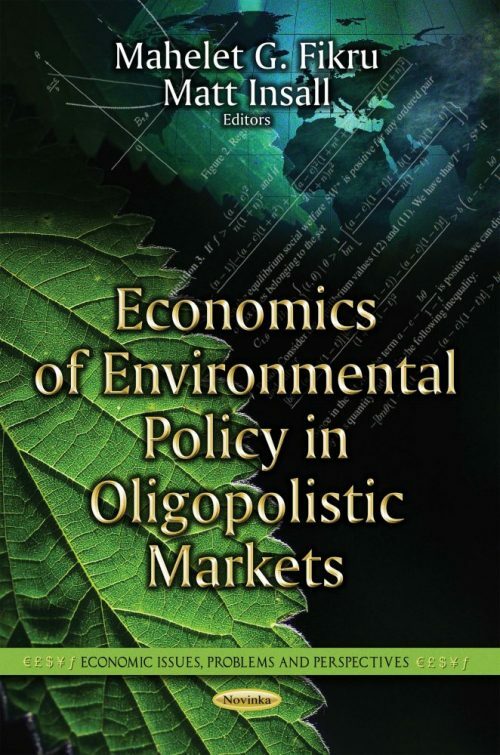 This book examines the relationship between firms’ strategic decision making, environmental policies and its resulting effect on society. Each chapter builds a theoretical model in which the market structure is imperfect competition.